A native of Southern California, he attended the University of California, Irvine, California, and Santa Clara University, Santa Clara, California, as an undergraduate. He attended the California College of Podiatric Medicine, San Francisco, California, where he received his medical D.P.M. degree. 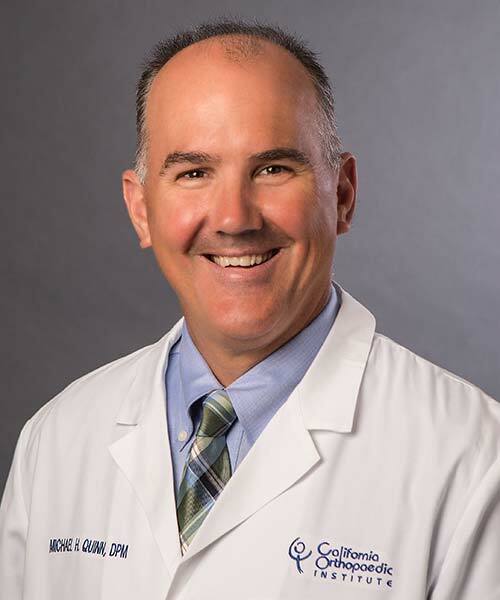 Dr. Quinn completed his residency at Scripps Mercy Hospital, San Diego, California, followed by practicing podiatric medicine in San Diego. He joined California Orthopaedic Institute in 2002.